Superior Results on Any Project! With our experience and dedication, you'll get superior results on any project. 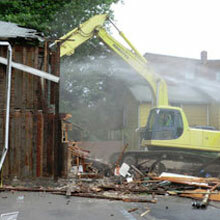 Our trained and experienced professionals are ready to work with you to complete any site demolition work. We know your project's timeline is important to your success. That's why we offer fast, efficient, and competitively-priced services. Our trained engineers can handle any underground utility and water main installation. 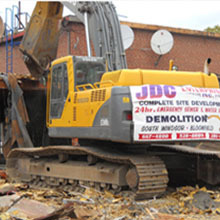 We do all types of excavation and site development work. Ask us for a consultation today. You can depend on CMC Enterprises for much more. We demolish buildings as tall as 3 stories. We do so safely to ensure your project remains within all code requirements.